Enjoy an unforgettable evening of amazing music. 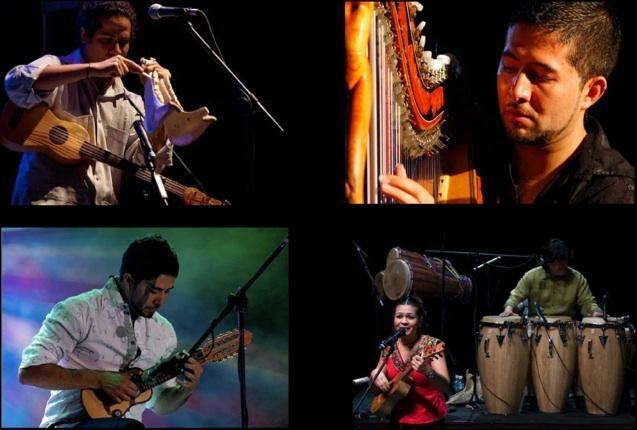 Celso Duarte, Paraguayan-Mexican Harpist, and his Sextet will be performing at the Capitol Theater in Olympia on April 30 at 7 pm before continung on to NYC to play at Carnegie Hall. Celso Duarte has been impressing audiences around the world since a very early age, first touring internationally with his parents, and for the past 13 years with the Lila Downs' band. (More at:myspace.com/celsoduarte and on youtube.com). CIELO Project is a vibrant, active and participatory center for the Latino community. We are located in Olympia and provide a wide range of services in Spanish and English that extends to the surrounding counties. Money earned from this concert will help to fund free English, GED, and literacy classes. We are a largely volunteer organization with just a few part-time hourly coordinators. Please join us April 30th to celebrate our good work. 35 dollars OFS/General Admission tickets at: BuyOlympia.com, Rainy Day Records, and at the box office night of show.